This is the most recent information about Willie Nile that has been submitted to amIright. 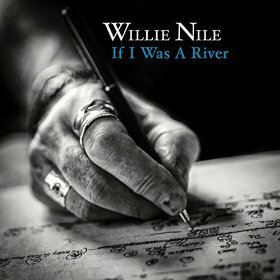 If we have more information about Willie Nile, then we provide a link to the section where it appears (the actual page whenever possible). "Vagabond Moo" originally "Vagabond Moon"
"Hose Of A Thousand Guitars" originally "House Of A Thousand Guitars"
"Love Is A Rain" originally "Love Is A Train"
"Beautiful Wreck Of The Wold" originally "Beautiful Wreck Of The World"
"Hear Of Wonder" originally "Heart Of Wonder"
"Let Me Be The Driver" originally "Let Me Be The River"
"Let Moe Be The River" originally "Let Me Be The River"
"Let Mae Be The River" originally "Let Me Be The River"
"Let Me Bet The River" originally "Let Me Be The River"
"Let Mel Be The River" originally "Let Me Be The River"
"Let Me Be The Riler" originally "Let Me Be The River"
Riler, as in one who riles. "Let Me Be The Riser" originally "Let Me Be The River"
"Let Me Be The Riper" originally "Let Me Be The River"
"Let Me Be The Rifer" originally "Let Me Be The River"
"Let Me Be The Rimer" originally "Let Me Be The River"
Rimer = acceptable variant of "rhymer"